With cold and flu season upon us, it’s likely that your child will start coming down with routine bugs and other illnesses. As a parent, it’s often difficult to know when you should call the doctor, especially if your child is too young to tell you what’s wrong. 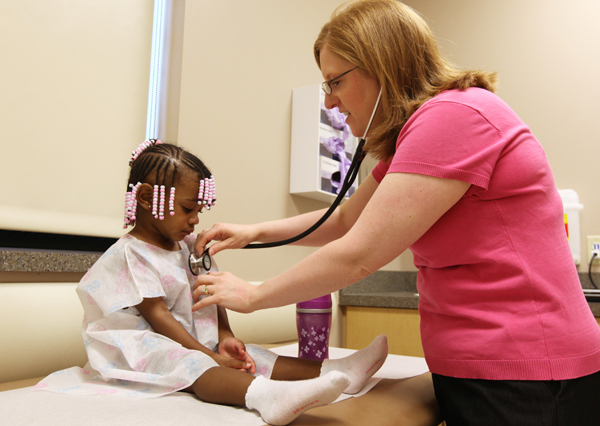 Bonnie Pudloski, a registered nurse in the Hudson office of Akron Children’s Hospital Pediatrics, understands that parents don’t want to bring their child in for unnecessary visits to the doctor, especially in today’s current economic climate. However, if you have concerns that your child is just not acting like himself, Pudloski says that’s the biggest reason to bring your child in to see the doctor. Lethargy and lack of interest in playing or eating. Irritability or in infants, excessive fussiness or crying. Breathing trouble, such as rapid breathing or panting. In infants, inconsolable crying may be a sign of difficulty breathing. Reduction in urine output, such as a dry diaper or no urine output for 6 to 8 hours. Should parents be worried about lead found in baby food?